This practical ‘step by step’ guide consists of a set of forms and instructions for developing and implementing a diversional therapy programme within your workplace. 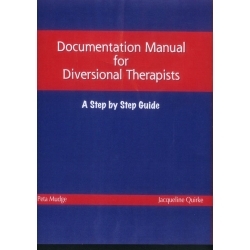 This integrated system has been developed to support Diversional Therapists in organising a client focused Diversional Therapy programme. The Manual focuses on the areas of: Assessment (including client and programme assessment); Planning (including individual client programme plans); Programme Implementation and Evaluation (including client and programme evaluation). 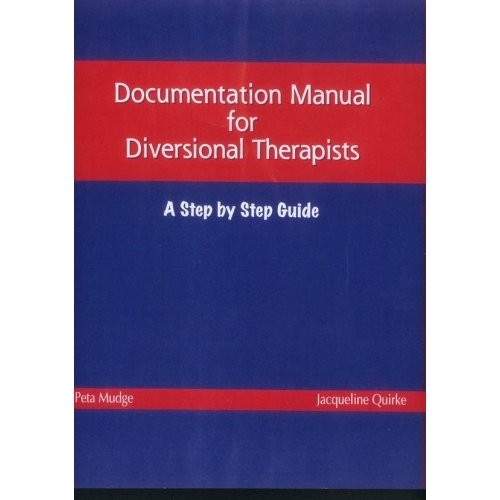 This manual includes documentation forms for your use covering each of the above areas and provides diversional therapists and recreational activities officers with a comprehensive documentation system.